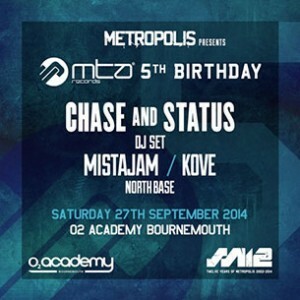 Drum and Bass pioneers, Chase and Status will take to the decks on Saturday night at the O2 Academy Bournemouth in celebration of their own label MTA Records’ fifth birthday. It will be the duo’s first appearance in Bournemouth since last year’s successful Brand New Machine arena tour when they sold out the Bournemouth International Centre. 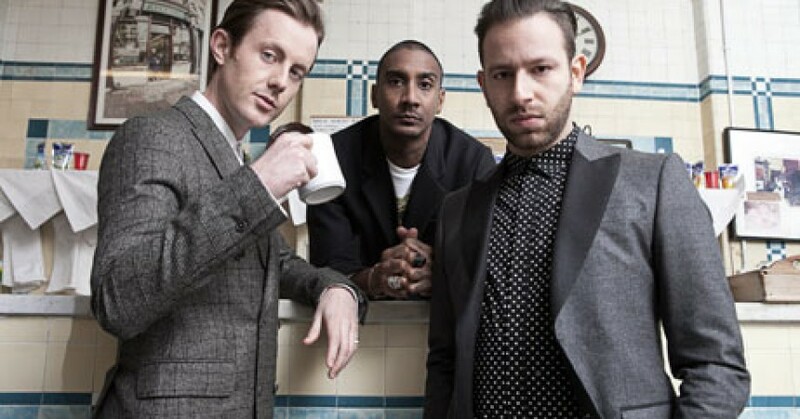 As well as the Bournemouth show, Chase and Status have also performed in Edinburgh, with shows in Leeds and Manchester in the upcoming weeks as part of the MTA Records fifth birthday tour. Also joining Saturday night’s bill is Radio 1 presenter and DJ MistaJam, as well as Kove, who has seen chart success with ‘Way We Are’ featuring Melissa Steel, and the upcoming North Base.